The timing was determined by the “Orange revolution” in Ukraine – a series of mass protests against the fraudulent “victory” of Ukraine’s corrupt, pro-Russian Prime Minister Viktor Yanukovych in the 2004 presidential election. The success of the “Orange revolution”, which had led to the second run-off of the presidential election in which Yanukovych’s contender, pro-Western Viktor Yushchenko, won, seemed to have scared Russia's President Vladimir Putin and the Russian ruling elites. They feared that a similar protest could take place in Russia and put an end to Putin’s regime. 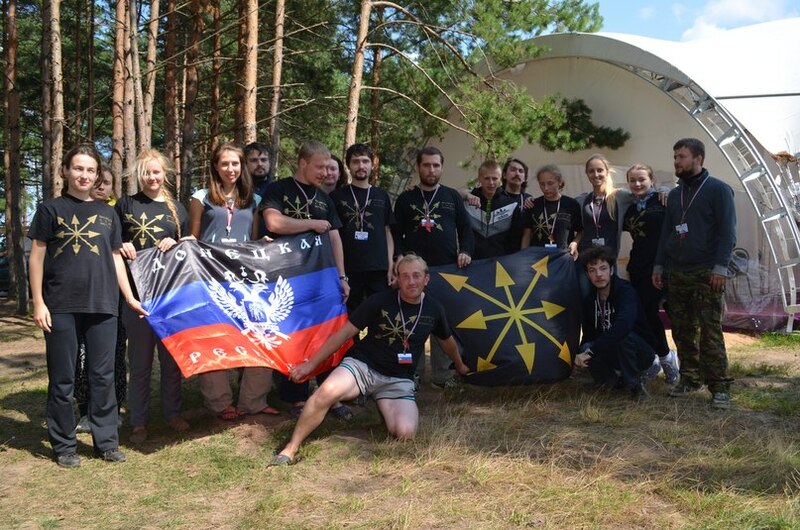 The significant contribution of young, active Ukrainians to the success of the “Orange revolution” prompted the Russian establishment to launch a preemptive defence force by reviving, mobilising and consolidating a pro-regime youth movement. 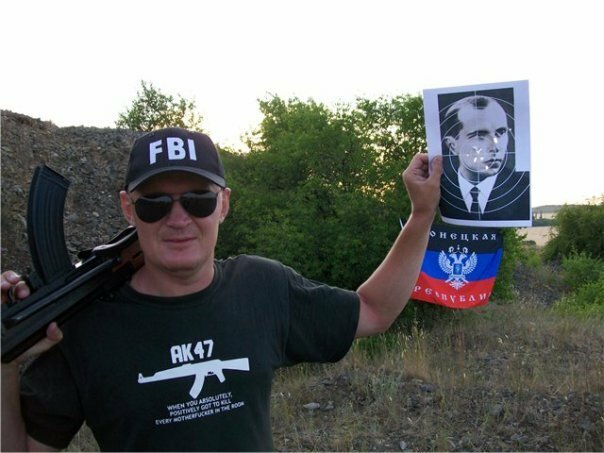 In order to counter the largely imaginary threat of a “colour revolution” in Russia, the authorities sanctioned the creation of several “patriotic” youth movements: “Nashi” (Ours), “Rossiya molodaya” (Young Russia), “Molodaya gvardiya” (Young Guard), and some others. One of those movements was Evraziyskiy soyuz molodezhi (Eurasian Youth Union, ESM) – under the leadership of Pavel Zarifullin and Valeriy Korovin – a National Bolshevik youth wing of Dugin’s Mezhdunarodnoe evraziyskoe dvizhenie (International Eurasianist Movement, MED). It is unclear who funded the ESM from 2005, but an analysis of the Russia-based Centre of Economic and Political Reforms shows that the ESM received several presidential grants amounting to more than 18.5 million Russian rubles in 2013-2014. However, Russian Neo-Eurasianists were more successful in cooperating directly with a number of pro-Russian organisations in Ukraine. 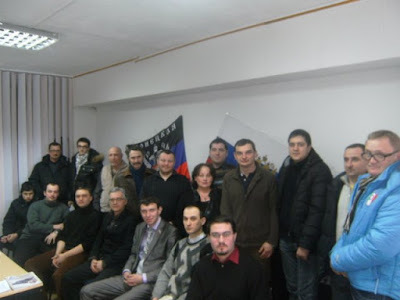 One of these organisations was the above-mentioned PSPU led by Vitrenko who, at that time, could be described as “the premier representative of radical anti-Westernism in Ukraine”. 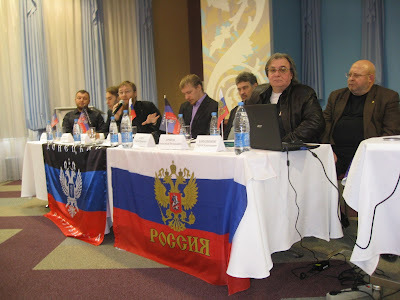 Vitrenko often took part in various conferences featuring either Dugin or other members of his Neo-Eurasianist movement. Dugin called her “a charismatic politician [...] advocating Eurasianist Slavic views” and “a leader of the pan-Ukrainian resistance [to the US]”. In November 2006, DR and ESM activists collected signatures to hold a referendum on the independence of the “Donetsk republic”. 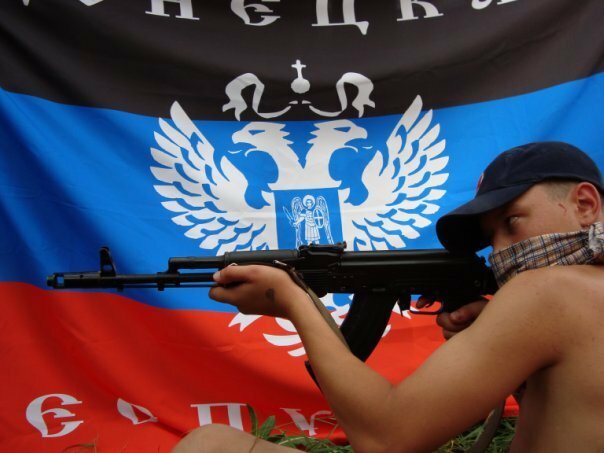 The referendum never took place, but the SBU and police took notice of the group, and cases were brought against the leaders of the DR under three articles of the Ukrainian Criminal Code: (1) “Actions aimed at the forcible change or overthrow of the constitutional order or the seizure of state power”, (2) “Infringement on the territorial integrity and inviolability of Ukraine”, and (3) “Violation of citizens' equality based on their race, nationality or attitude to religion”. The criminal cases hindered the process of building the DR as a functional structure; in 2007, a Ukrainian court outlawed the DR, and it went underground. The participants of the conference declare its principal aim – the creation of the Eurasian Union [...]. Purgin became the “first Vice Prime Minister” of the “Donetsk People's Republic” (DNR), while Oleh Frolov, became a member of the DNR’s “parliament”. 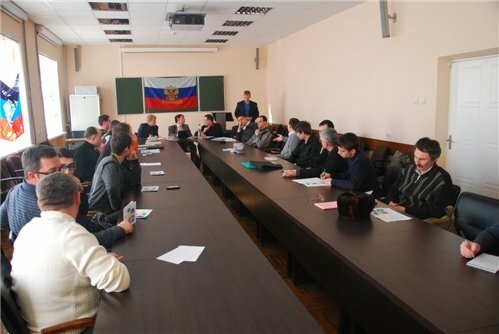 Kostyantyn Knyrik, the leader of the Crimean branch of the ESM, became the head of the Information Centre “South-Eastern Front”. Sergey Baryshnikov was appointed, by the “DNR's authorities”, the rector of the Donetsk National University. I would be very interested to hear your take on the "Prizak Brigade" / Ghost Brigade. It refers to itself as an "anti-fascist" and "socialist" unit that also acts in a political capacity. I use the quotes because I'm skeptical of the legitimacy of those terms-- for example, I know next to nothing about the history of its (now deceased) founder Aleksey Mozgovoy outside of his connection to Zhirinovsky's LDPR. That alone should end any question about their underlying political motives, but almost every news story referencing them seems to take them at face value and simply repeat their claims of being "anti-fascist socialists" because they claim their primary opponents are Ukrainian nationalists and neo-nazis. I've never been a fan of such simplistic rhetoric, and the fact that it rarely accurately reflects reality is a source of some consternation. Unfortunately, they are only available in German.